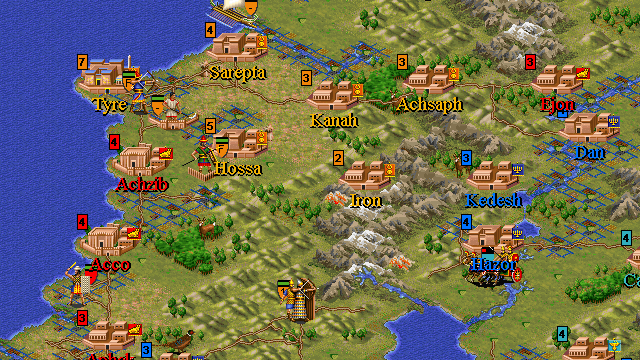 A scenario for Civilization II: Multiplayer Gold Edition by Beingofone. 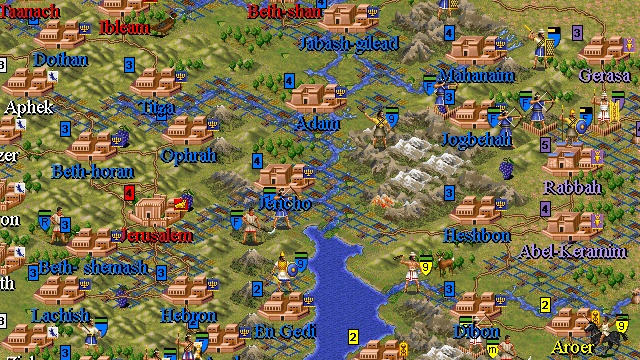 When David conquered Jerusalem around 1005 BC, he was a minor king subject to the Philistines. Israel's first king Saul had been crushed at Gilboa by the Philistines, who resumed their customary dominance over the country. Instead of garrisoning the Hebrew towns they now preferred a policy of divide and rule. At Saul's death Israel was split into tribal groups, Saul`s son Ish-Baal ruled most of the Eastern tribes and David in the hill country of the South. At this point David was still a retainer of the Philistines, he proved far to ambitious and capable to remain anyone's vassal. At the death of Ish-Baal, all the tribes of Israel anointed David as king. Under his leadership Israel flourished briefly as a major military power. 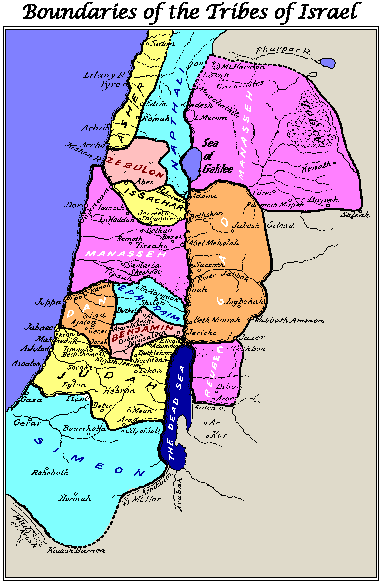 Its rapid growth from the shattered kingdom left by Saul into an empire dominating the whole of Syro-Palestine was remarkable. This page was last modified on 11 April 2013, at 10:20. This page has been accessed 6,858 times.